Special optical technologies like the61-Point High Density Reticular AF and an extended ISO range of 100-25600 (expandable to 50 (L), 51200 (H1) and 102400 (H2)) make the EOS 5D Mark III ideal for shooting weddings in the studio or out in the field, and great for still photography. Full-frame 22.3-megapixel sensor: Capture high-quality images that are full of detail with a 22.3-megapixel CMOS sensor and DIGIC 5+ image processor. Colors are bright but natural, and fine detail is preserved even in dark shadow areas and bright highlights.High-quality performance, even in low light: The EOS 5D Mark III delivers superb picture quality whatever the lighting conditions. Keep shooting hand-held even after the sun goes down, thanks to an ISO 100-25,600 sensitivity range.61-point wide-area autofocus: Focus quickly and accurately, even on off-center subjects, with a 61 point wide-area autofocus system. 41 cross-type points ensure highly accurate tracking of moving objects.High-speed continuous shooting: Keep up with the action at 6 fps, recording up to 16,270 continuous JPEG images to a UDMA mode 7 card in a single burst.High dynamic range imaging: Preserve detail in highlight and shadow areas with in-camera HDR image creation.Full-HD video with manual control: Enjoy high quality Full HD video at 1080p resolution. Use manual controls and Canon's comprehensive EF lens range to achieve cinematic visual effects.Great quality sound: Give your video footage the soundtrack it deserves. 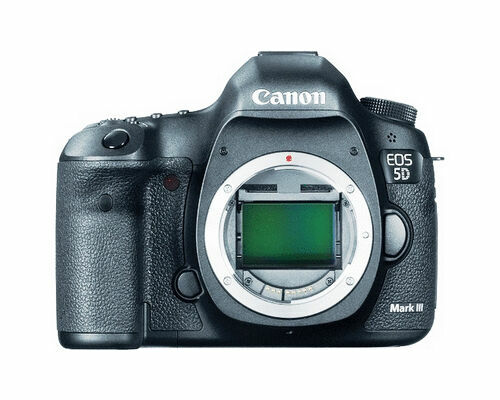 The EOS 5D Mark III records digital stereo sound at 48KHz and offers manual control over audio level. A standard 3.5 mm microphone socket enables the use of third-party microphones; a headphone socket permits audio monitoring while recording.In-camera editing functions: Begin your digital editing workflow before you arrive back home. Rate your images on a scale of one to five and compare two images simultaneously on screen. Use in-camera raw processing to explore creative possibilities - such as black and white conversion and retrospective white balance.Built to go anywhere: A magnesium chassis provides strength and durability without adding weight. Weather sealing offers protection against dust and moisture. Canon EOS 5D Mark III 22.3MP Digital SLR Camera - Black Lots Of Extras! item 6 Canon EOS 5D Mark III 22.3 MP Digital SLR Camera - 90 Day Warranty! -Canon EOS 5D Mark III 22.3 MP Digital SLR Camera - 90 Day Warranty! item 7 Canon EOS 5D Mark III 22.3MP Digital SLR Camera - Black (Body Only), Free Ship! 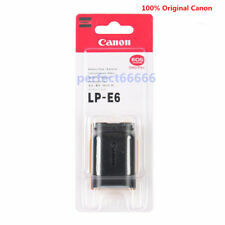 -Canon EOS 5D Mark III 22.3MP Digital SLR Camera - Black (Body Only), Free Ship! Love my full frame camera! The camera was in mint condition. This is one of Canon's best cameras. It has all the features of a full-frame camera. It has up-to-date sensor, improved autofocus features, and a sturdy build. I had the original 5D I bought in 2007. I needed to upgrade to a higher pixel count for printed enlargements. This camera nearly doubles the pixel count. I like to shoot bird pictures, and the 5 D iii features a fast 6 frames per second capability. I didn't want to break the bank on buying the newest and latest model. This is the perfect camera for my needs.